HIGHLY MOTIVATED SELLER! ANDOVER CENTRAL SCHOOLS! This beautiful spacious home has everything. 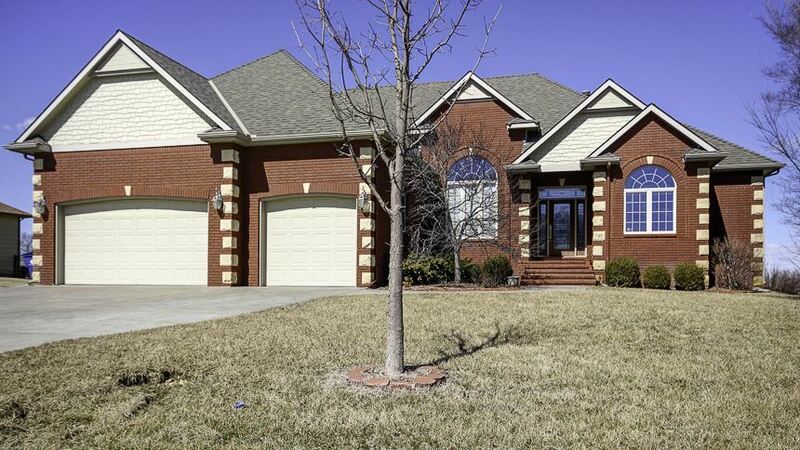 No need to feel cramped, this home boasts huge rooms, huge master bedroom with sitting area and luxurious bath, huge eating space in the kitchen & bar with granite & then the huge family room in the basement with built in entertainment center and fireplace. Certified Energy Star Home with 10' & 12â ceilings give you the feeling of space and comfort, as well, in this Popular Split bedroom plan. Gorgeous knotty wood for cabinets & doors and gorgeous crown molding compliment the beautiful interior built by Stovall Construction and gives it a custom touch. Solid wood floors in the formal dining, kitchen, pantry and eating area. Huge covered deck for those evenings outdoors enjoying your lush green grass courtesy of a well and sprinkler system. Entire home audio system throughout and basement is prewired for surround sound. Seller has installed a Water filtration system valued at $7000 and the Roof was replaced in 2012 with a 50 yr. class IV Impact resistant. Close to Dillons & YMCA! Move in ready, you'll want to call this home.